Abelard and Heloise, or the Writer and the Human: A Series of Humorous Philosophical Aphorisms (1834), translated and with an introduction by Eric v.d. Luft, foreword by Angela Moreira. North Syracuse, NY: Gegensatz Press, 2012. The Essence of Christianity, translated by George Eliot, introduction by Karl Barth, foreword by H. Richard Niebuhr. New York: Harper & Row, 1957. See also PDF file of text, with a Foreword by Rachel V Kohout Lawrence, 2008. The Fiery Brook: Selected Writings of Ludwig Feuerbach, translated by Zawar Hanfi. Garden City, NY: Anchor Books, 1972. Thoughts on Death and Immortality, translated by James A. Massey. Berkeley: University of California Press, 1980. Caldwell, Peter C. Love, Death, and Revolution in Central Europe: Ludwig Feuerbach, Moses Hess, Louise Dittmar, Richard Wagner. New York, NY : Palgrave Macmillan, 2009. Contents. Publisher description. Chamberlain, William B. Heaven Wasn't His Destination: The Philosophy of Ludwig Feuerbach. New York: W.W. Norton & Comany Inc., 1941. De Lubac, Henri. The Drama of Atheist Humanism. Cleveland: Meridian Books (The World Publishing Company), 1963. Engels, Friedrich. 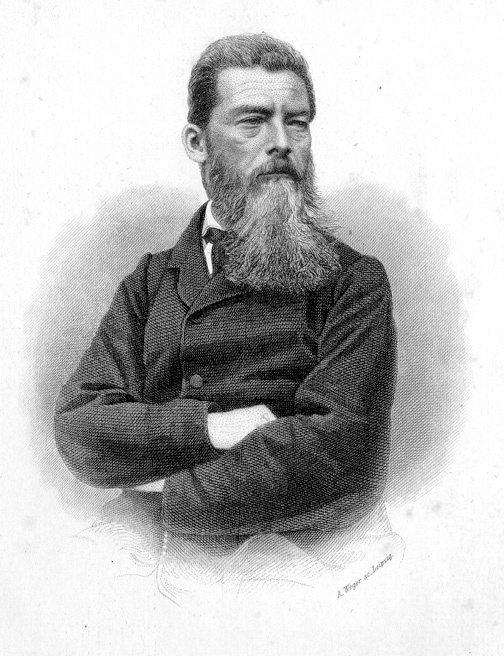 Ludwig Feuerbach and the Outcome of Classical German Philosophy. New York: International Publishers, 1941. Flanagan, Christy L. The Paradox of Feuerbach: Luther and Religious Naturalism. PhD Dissertation, Dept. of Religion, Florida State University, 2009. See also audio lecture series History of Science: 17001900, The Great Courses, no. 1210; e.g. lectures #23 (for Büchner), 24, 31 (for Vogt). McLaughlin, Paul. Mikhail Bakunin: The Philosophical Basis of His Anarchism. New York: Algora Publishing, 2002. See esp. extracts: Bakunin and Feuerbach: On Religion, Philosophy, & Naturalism. "Feuerbach, Marx and the Left Hegelians", special issue co-edited by Hans-Martin Sass, of The Philosophical Forum, vol. 8., Nos. 2-4, 1978. Includes previously untranslated and unpublished documents by Feuerbach: "My Starting Point in Philosophy", "Loyalty Oaths", "Letter to Bertha", "The Essence of Christianity in Relation to The Ego and Its Own"; plus two articles about Feuerbach by Fredrick M. Gordon. Barnhart, J. E. "Anthropological Nature in Feuerbach and Marx", Philosophy Today, 1967; 11: 265-275. Bishop, Paul. "'Elementary Aesthetics', Hedonist Ethics: The Philosophical Foundations of Feuerbach's Late Works." History of European Ideas, vol. 34, no. 3, 2008, pp. 298-309. Bishop, Paul. "Eudaimonism, Hedonism and Feuerbach's Philosophy of the Future," Intellectual History Review, vol. 19, no. 1, 2009, pp. 65-81. Cherno, Melvin. "Feuerbach's 'Man Is What He Eats': A Rectification", Journal of the History of Ideas, 1963; 24: 397-406. Christensen, Kit R. "Individuation and Commonality in Feuerbach's "Philosophy of Man", Interpretation: A Journal of Political Philosophy, 1985; 13: 335-357. Dahlstrom, Daniel. "Marxist Ideology and Feuerbach's Critique of Hegel", Philosophical Forum, 1984; 15: 234-248. Duquette, David A. "From Disciple to Antagonist: Feuerbach's Critique of Hegel", Philosophy and Theology, 1988; 3: 183-199. Elez, I. "Ludwig Feuerbach and Our Times", Soviet Studies in Philosophy, 1973; 12: 3-16. Fiorenza, Francis Schuessler. "Feuerbach's Interpretation of Religion and Christianity", Philosophical Forum, 1979; 11: 161-181. Gagern, Michael. "The Puzzling Pattern of the Marxist Critique of Feuerbach", Studies in Soviet Thought, 1971; 11: 135-158. Glasse, John. "Why Did Feuerbach Concern Himself with Luther? ", Revue Internationale de Philosophie, 1972; 26: 364-385. Gregory, Frederick.. "Scientific versus Dialectical Materialism: A Clash of Ideologies in Nineteenth-Century German Radicalism." Isis, vol. 68, no. 2, June 1977, pp. 206-23. Harvey, Van A. Feuerbach: Love & Atheism, Philosophy Now, July-August 2011. Harvey, Van A. Ludwig Andreas Feuerbach, in Stanford Encyclopedia of Philosophy, Oct. 3, 2003; substantive revision July 31, 2007. Hymers, John. "Feuerbach's Anthropological Appropriation of the Ontological Argument in the Essence of Christianity." Ilyenkov, E. V. Dialectical Logic, Essays on its History and Theory (1974), translated by H. Campbell Creighton. Moscow: Progress Publishers, 1977. 6: Feuerbach  Once More about the Principle of Constructing a Logic: Idealism or Materialism?. Lenin, V. I. Conspectus of Feuerbachs Book Exposition, Analysis and Critique of the Philosophy of Leibnitz (1914), translated by Clemence Dutt, in Collected Works, 4th edition, Volume 38, (Moscow: Progress Publishers, 1976), pp. 375-387. Lenin, V. I. Conspectus of Feuerbachs Book Lectures on the Essence of Religion (1909), translated by Clemence Dutt, in Collected Works, 4th edition, Volume 38, (Moscow: Progress Publishers, 1976), pp. 61-83. Lowith, Karl. "Mediation and Immediacy in Hegel, Marx, and Feuerbach", in: New Studies in Hegel's Philosophy, ed. Warren E. Steinkraus (New York: Holt, Rinehart and Winston, Inc., 1971), pp.119-141. Luk�cs, Georg. �On The Fiftieth Anniversary of Feuerbach�s Death,� in Reviews and Articles from Die rote Fahne, translated by Peter Palmer (London: The Merlin Press, 1983), pp. 56-58. Michaud, Derek, ed. Ludwig Feuerbach (1804-1872), in Boston Collaborative Encyclopedia of Western Theology. Mitiushin, A.A. "Feuerbach's Philosophy of Man and the Problem of Subject's Activity", Soviet Studies in Philosophy, 1973; 12: 18-30. Rotenstreich, Nathan. "Anthropology and Sensibility", Revue Internationale de Philosophie, 1972; 26: 336-344. Stepelevich, Lawrence S. "Max Stirner and Ludwig Feuerbach", Journal of the History of Ideas, 1978; 39: 451-463. Williams, Howard L. "Feuerbach and Hegel", Idealistic Studies, 1978; 8: 136-156. Blake and Feuerbach: An Odd Couple?